As most of you know, I have O.A.D.D. - Offroad Attention Deficit Disorder. "My thing" is sort of buying cars, getting them perfect, then selling them to start the whole process over again. I know, I know: I have issues. Still, O.A.D.D. 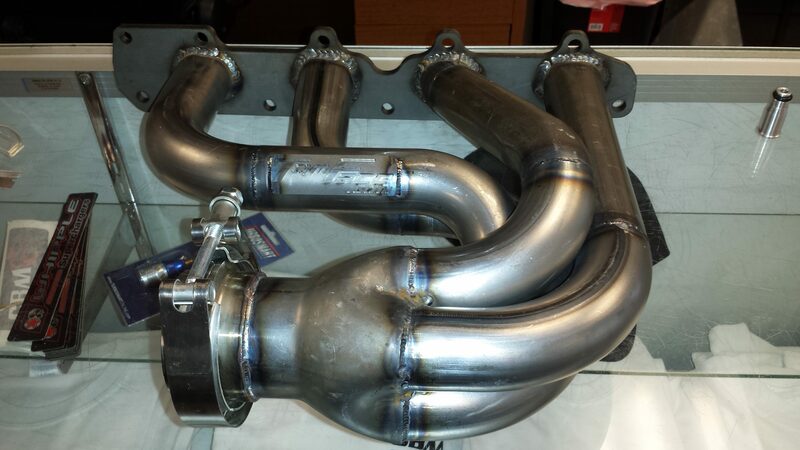 has struck again so I'm putting my exceptionally clean, sorted BFD Revo up FOR SALE. Upgraded hardware package from BFD, including heims, Delren bushings, grade 8 bolts, spacers, etc. As you probably know I just picked this car up at the start of the season. 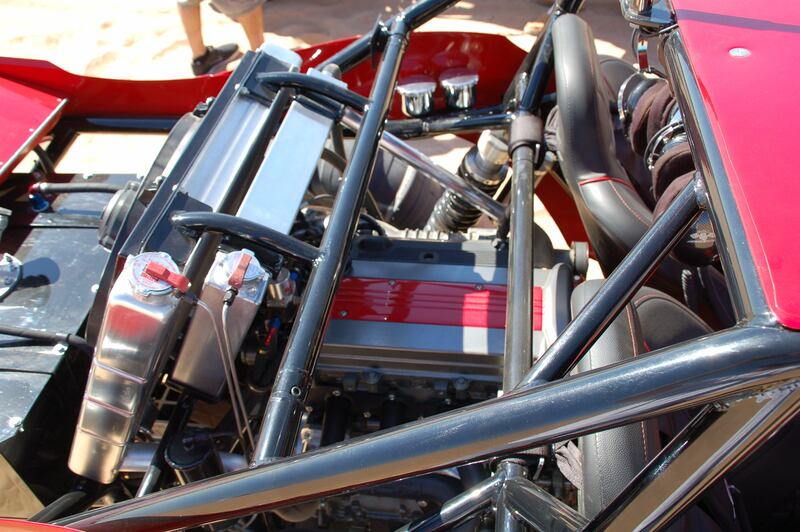 I planned/hoped to have a lot of time in Glamis this year like I had in the past. Well, life and work just didn't allow for it and so far I've only had 2 trips all season. 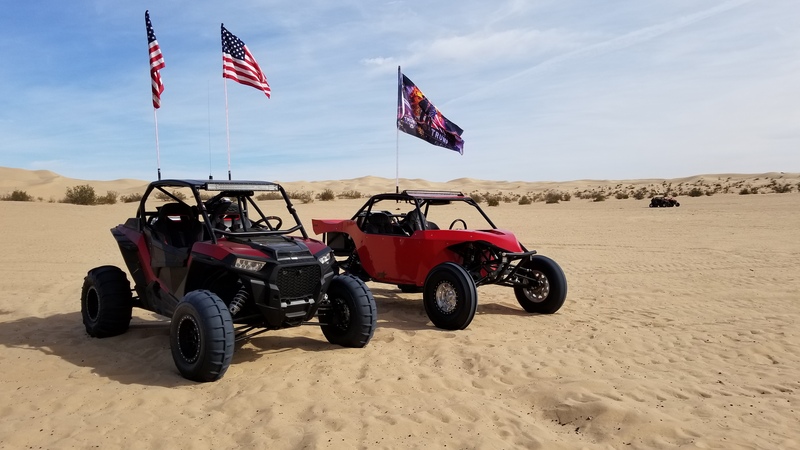 We have dirt-season about to start up where I live (north of Sacramento, at the foothills of the Sierras) and I want to pick myself up another RZR (Melissa still has her '18 XP Turbo Fox Edition). I really don't want to go back down the road of having 3 off road toys, so the BFD has to go. Again, this thing is super clean and shows like new. 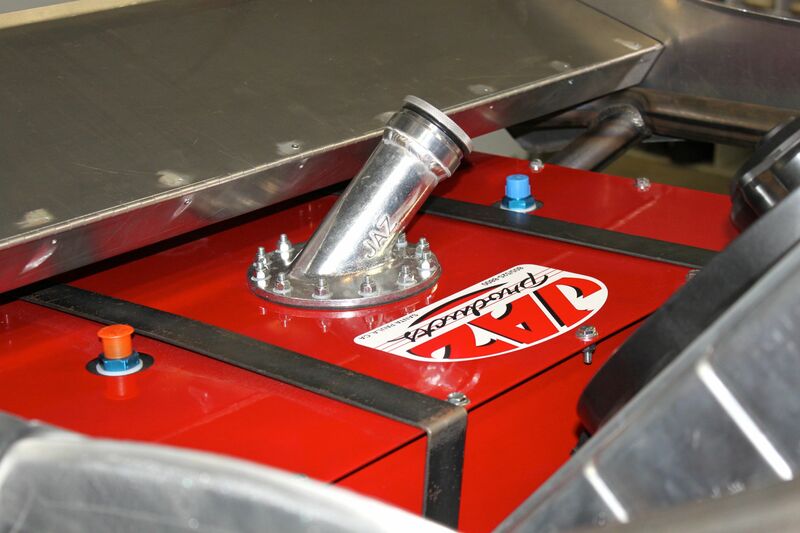 The trailing arms aren't all sand-blasted like every other car out there, the powder coat on the aluminum still shines like new, the Rigged LED lenses aren't sand blasted out, the windshield isn't pitted or scratched, etc. etc. 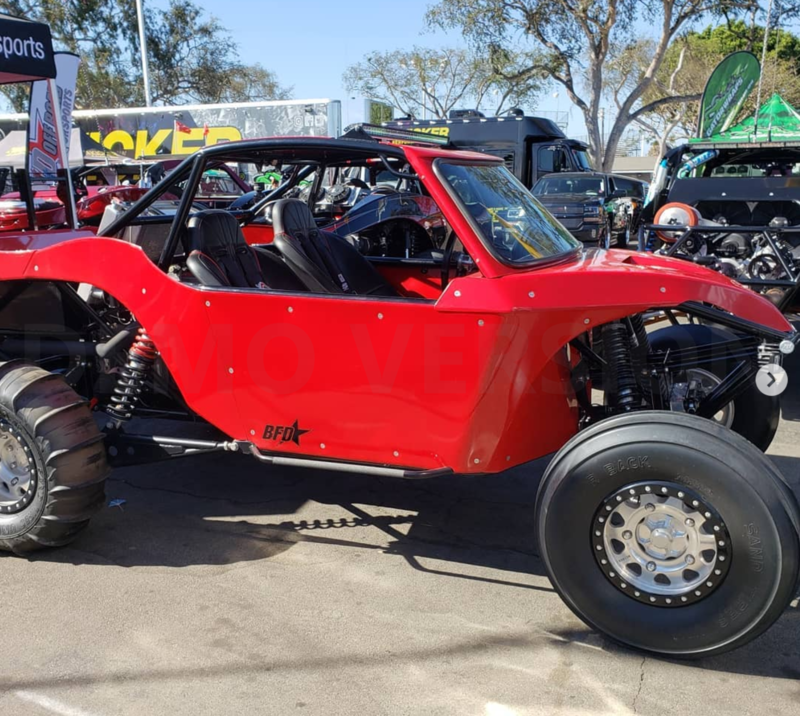 If you went to the Sand Sports Super Show this summer this was the red BFD Revo in BFD's booth - as you saw it was basically brand new at that point. Since then I've put very little time on it with only 2 trips to G, during which I sent it back to LRS for some upgrades (listed below) so I didn't even run it the whole time. I'm sure there's more I'm forgetting, but as always no corners were cut and it was "maintained with an open checkbook" exclusively by LRS. 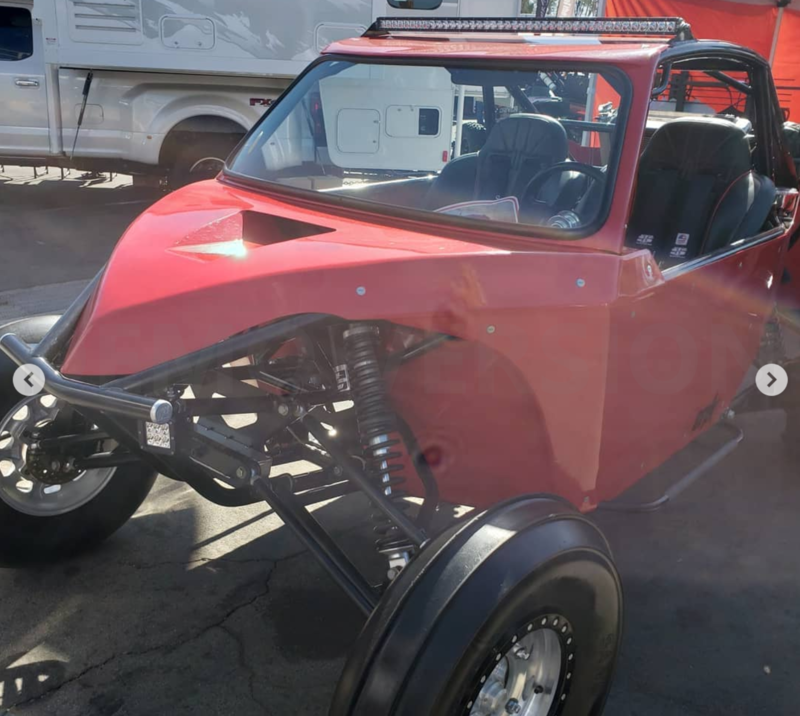 Asking: $33,500 including the Baja Pros/Dunesports on DWT beadlocks, dirt tires on Method non-beadlocks, and the Method beadlock wheels (wheels ONLY), all spares, etc. 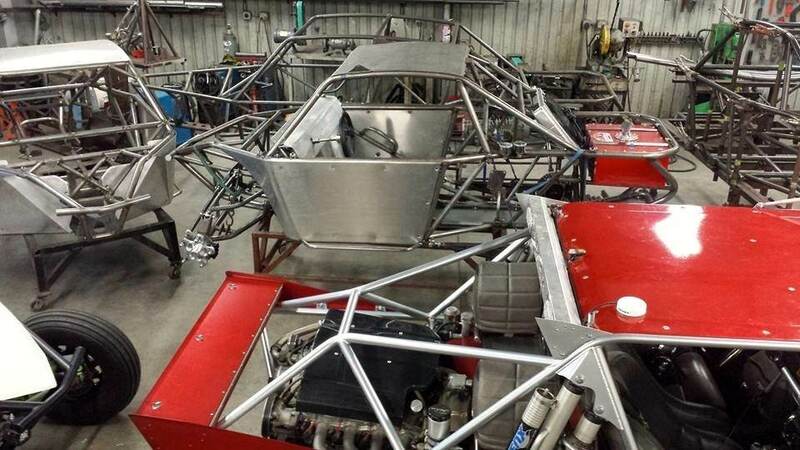 This car is 100% ready to go and will be in Glamis 27 MAR - 3 APR if you'd like to see it in person. I also have a DVD with DOZENS of pictures of the build of this car. 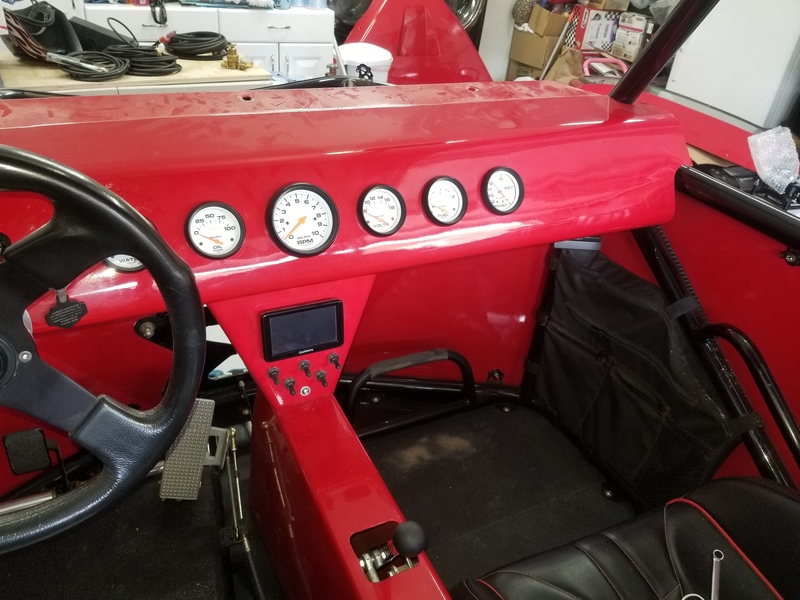 You can see all the care and detail that went into it, as well as how everything is wired and plumbed so you'll never have to wonder where something is or how it was built. NOTE - PICS SHOW A MIX OF THE DIFFERENT WHEELS/TIRES AND EXHAUST, I'm horrible at actually taking pictures when I'm out, so I don't have a pic on the DWTs all the way around and the final exhaust config. Come see it in the dunes next week for a full view! 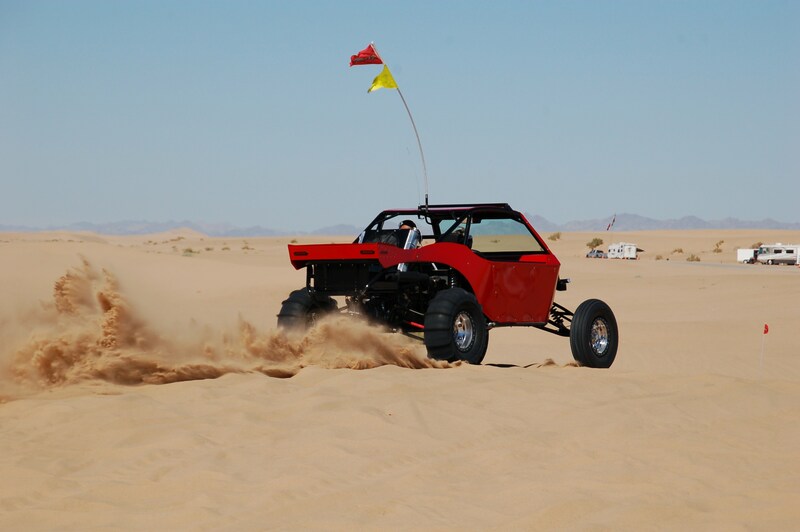 This is honestly one of the most fun dune cars I've ever driven. 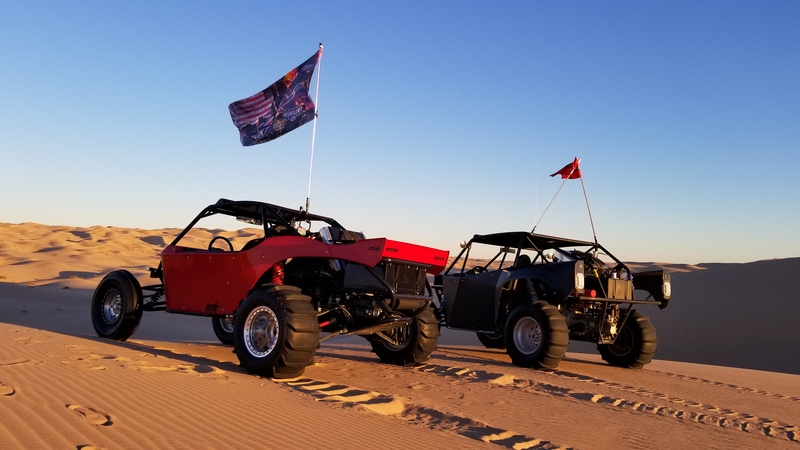 It can run the big stuff with any fast group you want, no problem, but it can also run the tight, technical smaller dunes better than any of the "big" cars. Don't let the travel numbers fool you, we have our Fox super well dialed in and my Z1 had a top-notch HCR long travel with big Internal Bypass Kings and I can carry WAY more speed comfortably with this car. I'm way more confident and don't tap-out on drops and G-outs like the RZRs do (even when setup right). Sure, a Can Ma'am might have 22"/24" of wheel travel but this will dune circles around one. Also, the cab is VERY roomy. I'm about 6' and pretty fat these days (yeah, I need to work on it) and I fit great. 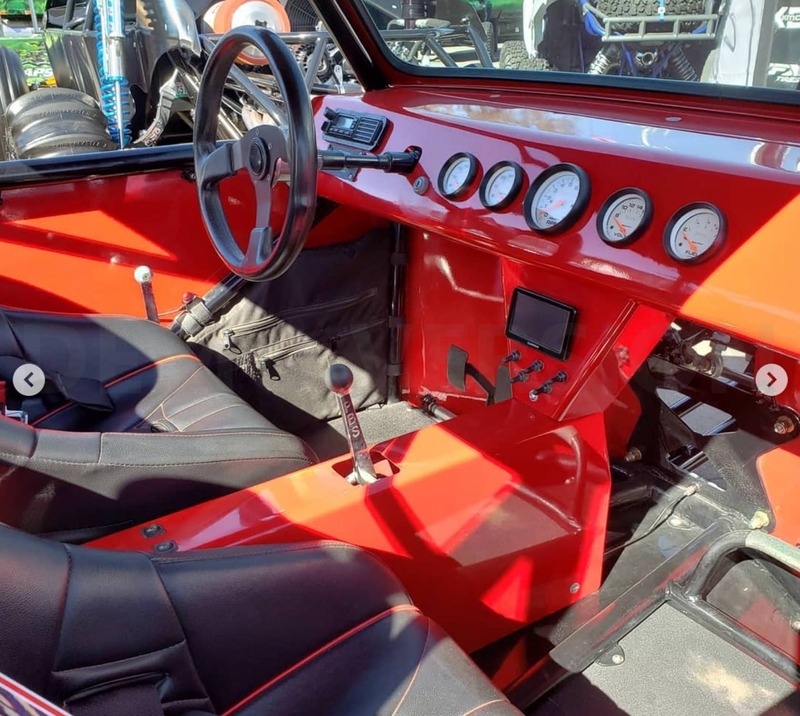 It is way roomier inside than a RZR. Feel free to PM me with any questions and I'll shoot you my phone number so we can chat. My first reaction was laughing to myself! 2nd was someone will get a dialed car that's way more fun than a SxS! I sat in this car and was surprised at how much room there is inside. Don't fool yourself if you think its too small. Thanks Matt! As you know, I'm a little bit crazy. And I agree, this thing is WAY more fun than a SxS (and I've duned everything from my Z1 at over 30psi of boost on E85 with the HCR LT to the Can Ma'am X3s to our old 900 to our current XPT). 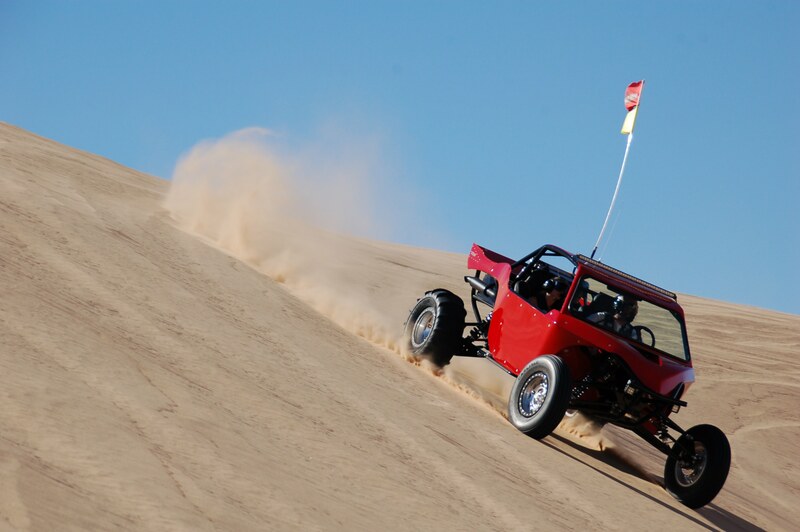 I'm not a SxS hater, but in the dunes nothing beats a WELL SETUP rail for how it works and how fun it is. 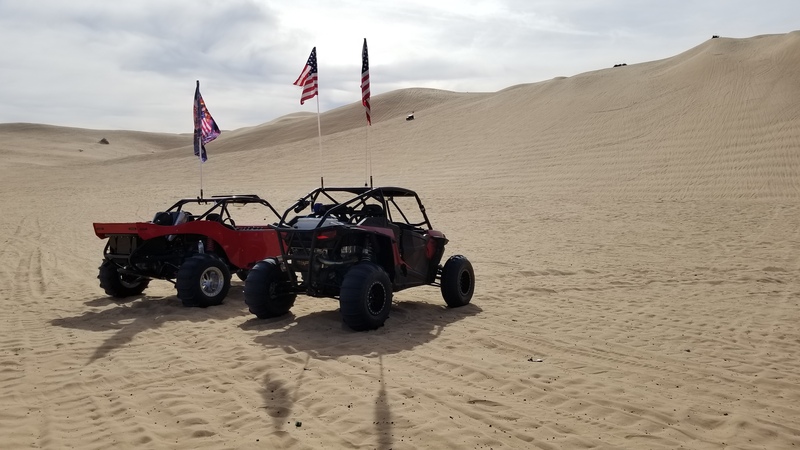 It's just been too many years since we've had enough time in Glamis to justify it over a RZR for the other ~8 months a year for us, especially being 1-2hrs from at least half a dozen awesome riding areas in the Sierras and foothills now. I'd love to keep this car and ALSO get myself another RZR but it just doesn't make sense for time, space, money, etc. This car is insane! Cleanest you will find. 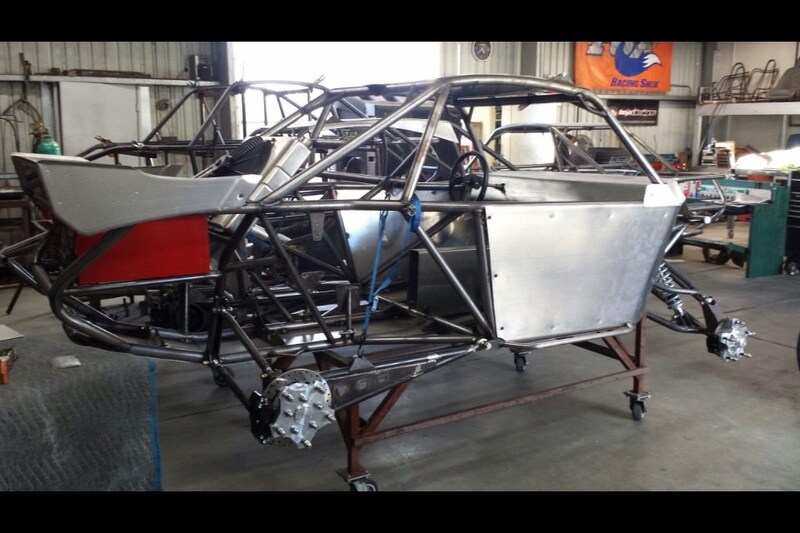 If you are in the market this car is a must see, totally dialed! glws TJ I think it will go quick. I'll PM you my phone number, feel free to call/text. 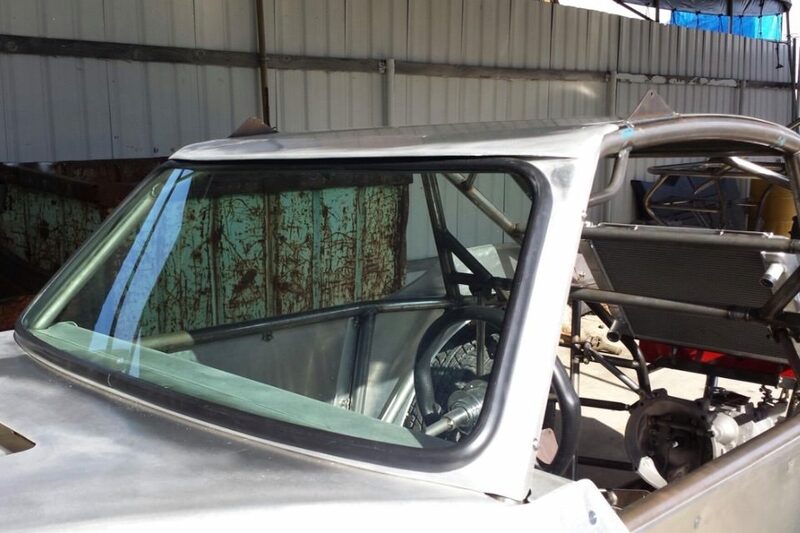 Yup, this thing actually defines the term "like new" you see in so many for sale posts! Thanks - I'm confident anybody who looks at it will know it's nearly new. Just two days 'til it's in G with me! I have driven this car and it is sweet. Very clean like new is very true. All setup in G, come take a look! TTT - Major Price Drop! 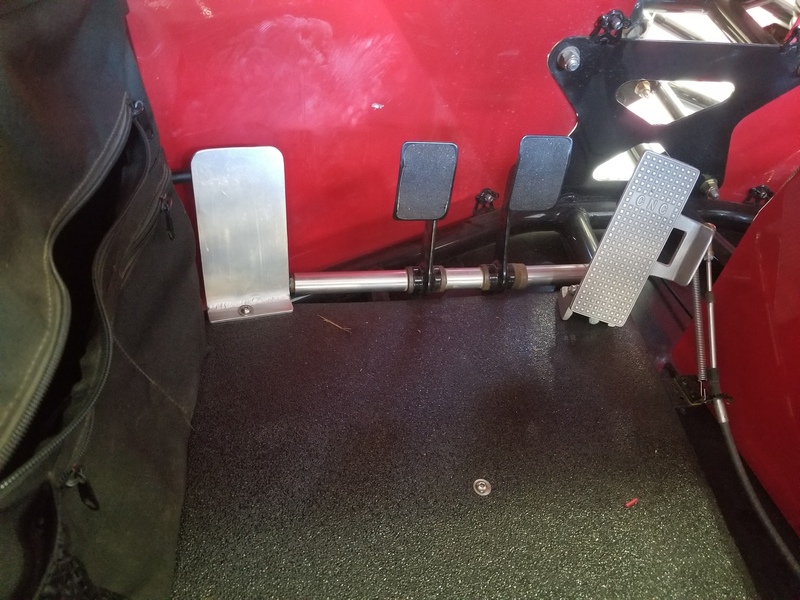 For full asking price it will include the full set of dirt tires on Methods (non-Beadlock) as well as a 2nd set of Methods (Beadlocks) and of course the DWTs with the Baja Pros & Dunesports. It will still include spare CVs, boots, fluids, spare filter/outerwear, etc. It's with LRS in La Crescenta, CA. Trans is an H-pattern and has reverse. Mine also if I had my big car sold I would be calling TJ for sure, don't have the room for another toy or I would be tempted anyway. For anyone on the fence here's a comparison for you. A Can Am X3 turbo is almost the same exact weight as these cars. Very close anyway. The X3 advertises 172 HP but at the wheels they put down 120 +/-. Locally here they are almost always under..
With a tune, turbo, injectors, exhaust, and inter-cooler upgrade my tuners X3 4 seater put down 175 at the wheels. It feels pretty damn fast as well. Haha, just DEW EAT! It really would be a perfect Oregon car. Get 'er sold and let's make it happen. Your dune season is just getting started. Thanks for the input, and I agree 100%. 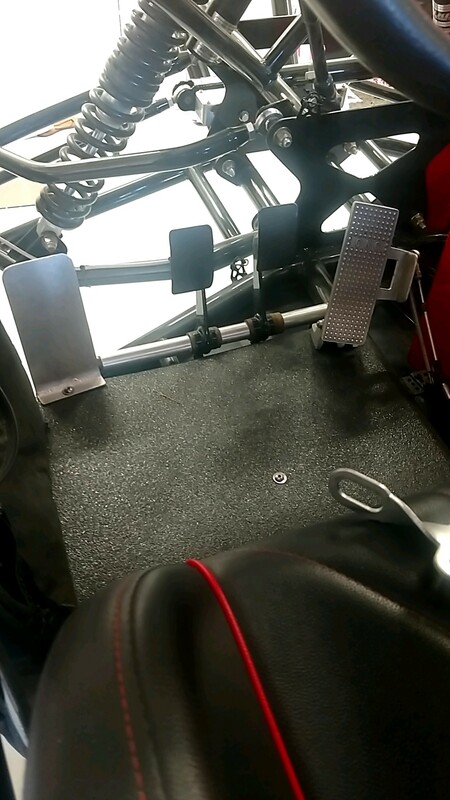 Like I was saying Melissa's 2018 XPT Fox Edition is very nicely setup, with probably 155ish RWHP. While not a long travel it has the Internal Bypass Fox shocks (obv, being the Fox Edition) and Ed "The Suspension" guy completely redid them (all new Eibach springs top and bottom, real cross-over rings, and of course Ed's valving). The XPT is awesome, and I can keep up on any dune ride, but there is simply no comparison to the Revo. The Revo is way more stable and fun. I've never had a problem rolling RZRs *knock on wood* but the Revo stays so much flatter and more stable and slides in a way even my HCR long-traveled Z1 RZR didn't. 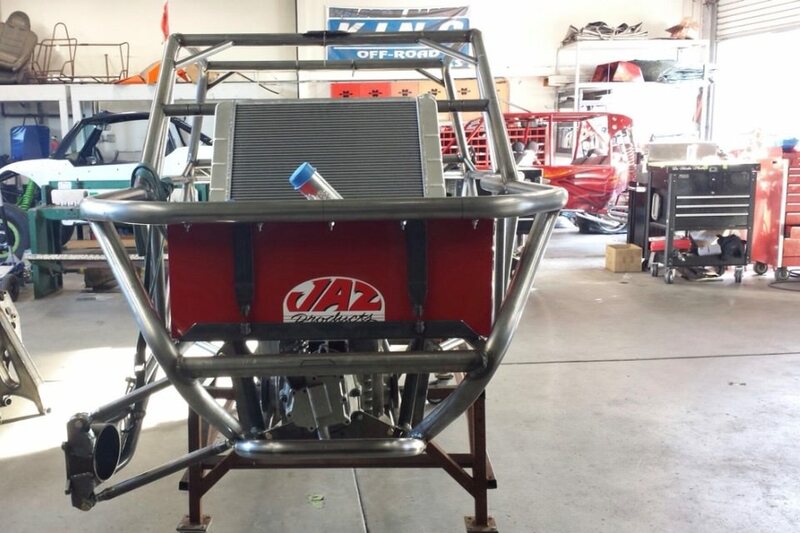 It also turns around even quicker than a 2 seat RZR when you want it to. The really surprising part is it soaks up big drops and G-outs better than any SxS I've driven, including setup X3s that (at least on paper) have more travel. Then there's the power. Like you said even though it doesn't have Horsepower Wars numbers, it's a blast. The power to weight is definitely better than a X3 or Turbo RZR and there's just no replacement for a real transmission and shifting gears. Im still secretly hoping the doesn't sell too quickly..
My buddy had a full season of issues with his highly modified RZR then ended his season with him buying a new complete motor from Polaris for like $5K. Easter is our 1st trip and I all but have him pushed off the fence to buy this car and then ditch the RZR.